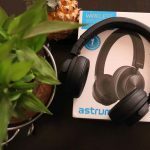 Astrum HT600 Wireless Stereo Headphones Review – The Minimalistic Headphone which you can carry around! Astrum Electronics India Pvt. Ltd. might be a new name to many, but the parent company Astrum Holdings Ltd. may not be because the Hong Kong-based firm has been in the consumer electronics field since 2008. Since then, they’ve been producing quality and innovative mobile accessories, Bluetooth speakers, wireless headphones, and other electronics. 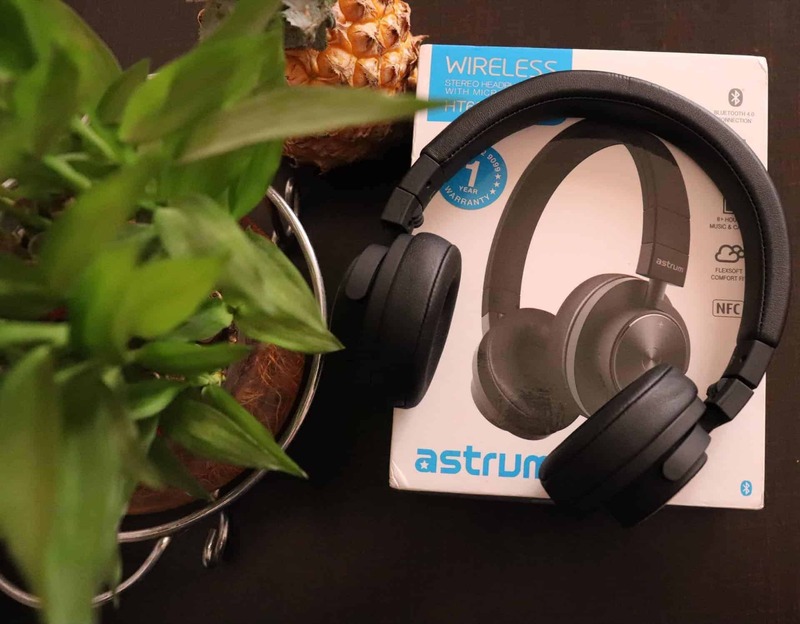 Recently, the company launched their premium wireless stereo headphone – Astrum HT600 in India for a price of Rs. 4,990. I was lucky to get my hands-on Astrum HT600 and man, it blew my mind not only with its quality of sound but also its minimalistic design approach in making it travel-friendly. Without any further, let’s have a look at the review and see if it’s worth buying. But before we move to Astrum HT600 review, let’s have a peek at the key specifications first. Aren’t the specifications of Astrum HT600 are impressive, but how’s the sound quality? Well, to find out, let’s dive into the Astrum HT600 review. So why late? let’s get started. As mentioned already, the best part in this wireless stereo headphones is not just the sound quality, but also its minimalistic design. So, let’s see the design first. Astrum used a minimalistic design approach for HT600 making it easy to carry around. In general, over the head headphones are hard to carry around as you can’t adjust the earpiece to fit in your bag, but the new wireless headphones are using a foldable mechanism and HT600 is not an exception here. You can rotate the earpiece and fold it which leaves a minimal footprint. This makes it pretty easy to carry around when you’re traveling. The adjustable strap is quite comfy and doesn’t strain while wearing it. Even the earpad cushion is quite comfortable and they are neither big nor small, and comes in a perfect size and dimensions. The black leather covering, and internal soft foam padding gives a premium feel. The controls are on the left earpiece and even here Astrum followed a minimalistic approach. There are only 3 main buttons – Power ON/OFF [Play, Answers calls], Volume Up and Down keys [changes tracks], and nothing more. Also, as said already, the earpiece is not quite big, and perfectly covers your ears. It also comes with 3.5mm jack, so when the battery dies, you can use the aux cable provided in the bag. There’s a micro USB port just above the headphone jack. Overall, the design of Astrum HT600 is elegant. Sooner, the 2-fold concept would become mainstream in all wireless headphones as it leaves a minimal footprint. 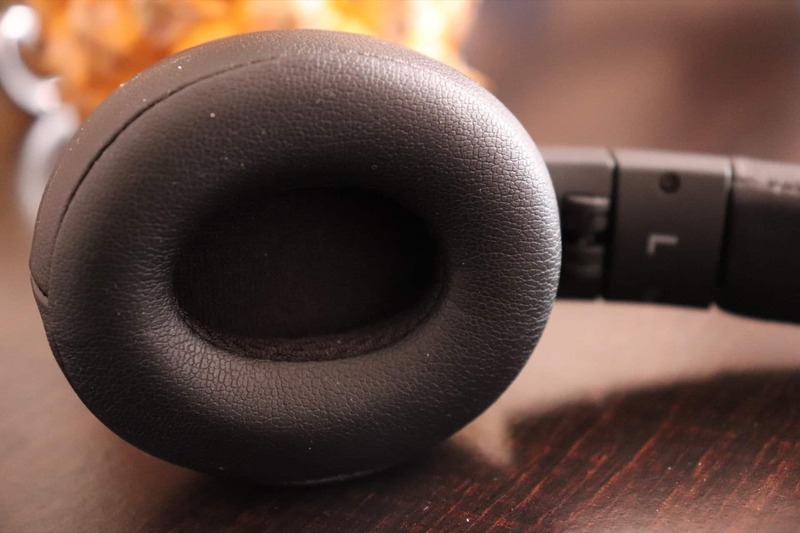 The Wireless headphones usually connect via Bluetooth or NFC, and even HT600 uses the same. 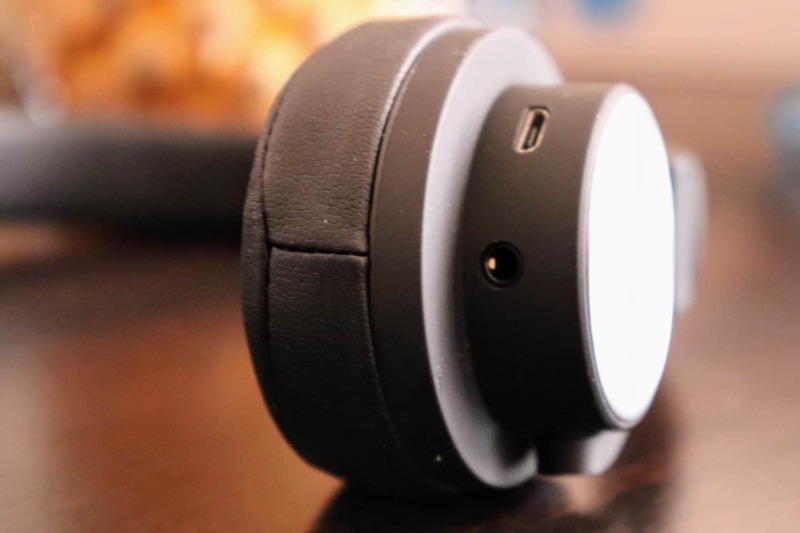 The main feature here is it can connect 2 devices at a time, meaning you can control the music using both phones or with either one of them. As the connectivity is via Bluetooth, the procedure is quite same. All you have to do is press the power ON button for like 3 seconds or till you hear a voice saying ‘Bluetooth Get Ready!’. Now go ahead and do the same on your phones or laptops, but as said, you can only connect a maximum of 2 devices at a time. If any of your devices support NFC, then just tap it on the headphones to establish a connection. Controlling sounds simple, but it doesn’t follow the procedure mentioned in the user manual. The Power ON/OFF works as directed but the volume up and keys work entirely different. To increase or decrease the volume, you’ve to keep and hold the respective volume keys. To change the next soundtrack, you’ve to press the volume down key and for the previous track, you should press the volume up key. That’s it. Also, you can only be able to control the default music players, and the sound from other sources can’t be controlled. 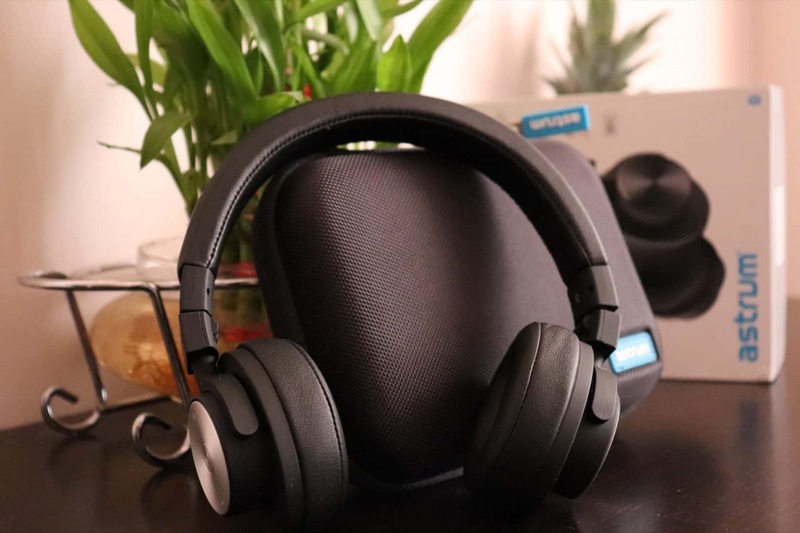 Now, this is the main section of the review as what we ultimately need is the wireless headphones that produce great sound quality with less noise. Since the HT600 is wireless stereo headphones, so I fled to YouTube to watch a couple of videos that produces sound in dual channels. The left and right sound synchronization are brilliant. There was no flatness or dip, and I could really feel the stereo sound quality with these headphones. The guy behind audiochecks website wrote a comprehensive article on how to benchmark your headphones, and I’d recommend you to read it, so you will understand the words I’ll be using here. We are in 2018 and having a headphone with digital assistant support is quite mandatory now, but Astrum HT600 is regular wireless headphones with basic functionality but produces superb sound quality. 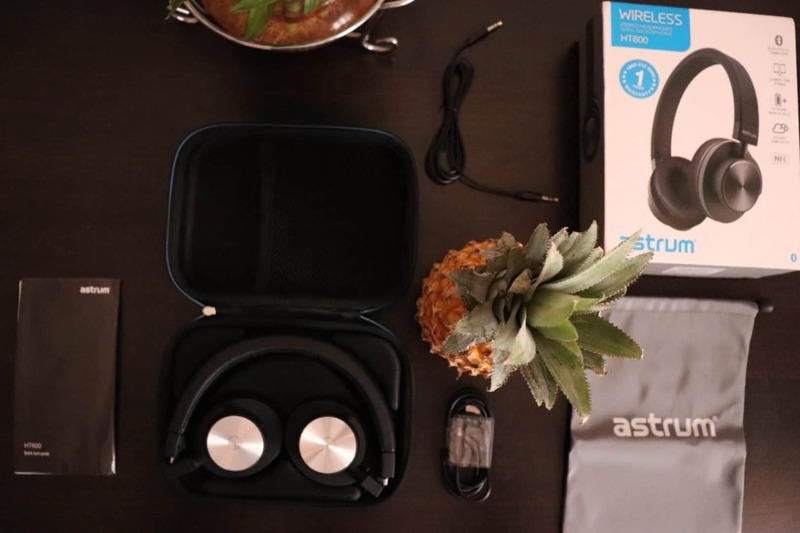 So, if you’re a frequent traveler, and want to enjoy hours of music without charging your headphones, then I’d recommend you purchasing Astrum HT600 as no other headphones in this range are portable and provide a good music-play time. We are in 2018 and having a headphone with digital assistant support is quite mandatory now, but Astrum HT600 is regular wireless headphones with basic functionality but superb sound quality. So, if you're a frequent traveler, and want to enjoy hours of music without charging your headphones, then I'd recommend you purchasing Astrum HT600 for Rs. 4,990 as no other headphones in this range are portable and provide a good music-play time. Previous articleMeet Mixtile Hub – This is the Most Affordable Smart Home Controller I’ve Ever Seen! Next articleMeet Neweex – The Most Versatile, Multi-functional Backpack You’ll Ever Need!